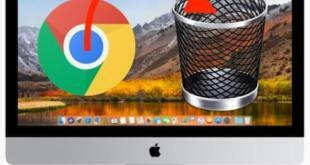 Make your Mac screen beautiful with different JPG or PNG pictures. Here is the official way for change folder icon Mac running on OS X EI Capitan and Yosemite. There are no any limitations on the set number of images on the folder directly, also apply to other folders. 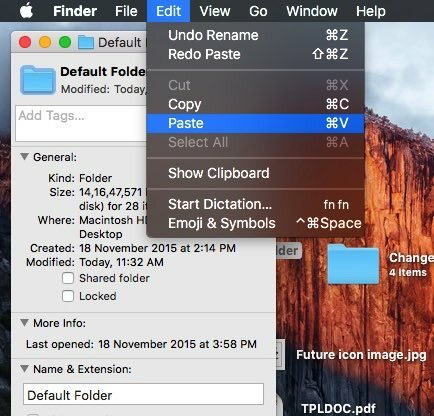 You can also change folder color as folder icon explained in below steps. Apple doesn’t give the option for change folder icon from getting info. Below guide not only for folder icon also compatible for change app icon, file icon. Note: For set picture icon on the folder, you don’t need to reset size or dimensions. Or the Square picture. The system would automatically adjust any size, format type images as a folder icon. Compatible Devices: iMac, MacBook, MacBook Pro, MacBook Air. Step 2: Open image in preview and Select the whole image or part of the image, by selecting with the mouse cursor. Step 3: Move to the folder where you change the icon and set an image as an icon. Right click on it and click on get info. Step 4: here you can see the Folder “Blue default color,” choose the folder in the info popup. Step 5: Now, From the top Apple menu Go to the Edit > Paste. for instant revert or remove the recently set picture, press undo command (Command-Z). 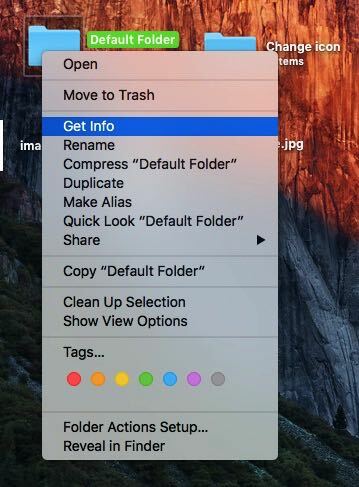 Otherwise, From another folder info popup copy folder and paste it where you want apple default folder. awesome and easy setup for Change folder icon mac with macOS on MacBook Pro, MacBook Air, iMac Pro, etc.